How much do the cast and crew behind A Wrinkle in Time love A Wrinkle in Time, the Madeleine L’Engle book that the movie’s based on? You may be unsurprised to hear that the answer is a lot, and they’re more than happy to tell you in this latest, delightful, look behind the scenes of the film. Honestly, while you wouldn’t expect the cast and crew of an adaptation to tell you anything otherwise, it’s genuinely lovely to hear Reese Witherspoon, Storm Reid, Ava DuVernay, and premiere book club aficionado Oprah gush about why they loved L’Engle’s classic novel. It’s an added benefit, then, that we also get to see a few more snippets of the film itself, which looks sumptuous. But honestly, I kind of just want to see the Oprah’s Book Club roundtable of this entire cast discussing A Wrinkle In Time as much as I want to see the movie now. 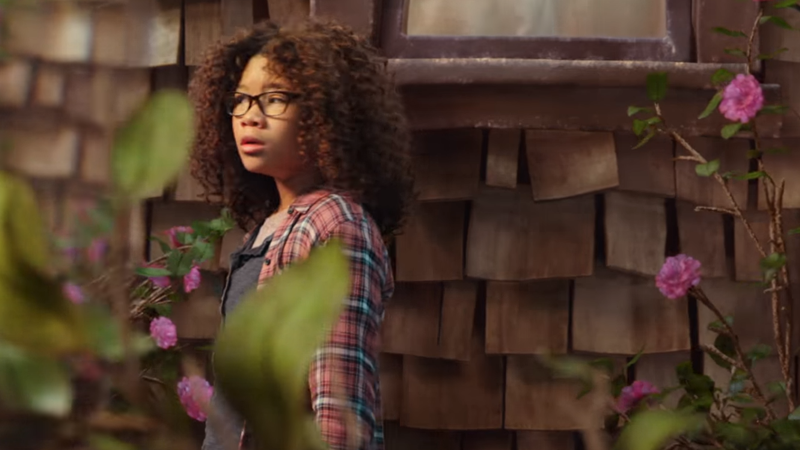 A Wrinkle In Time hits theaters March 9.